Visiting your local optical center in Chicago for routine checkups with an eye doctor is important for protecting your vision and practicing good eye care. However, this is particularly true for individuals over age 40. At this stage in your life, you have a greater risk of developing glaucoma. Glaucoma is an eye disease that causes damage to the optic nerve. 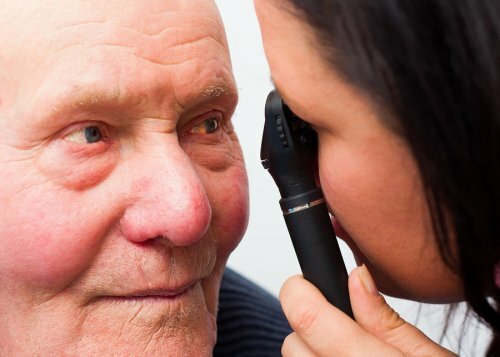 Because many people do not experience any glaucoma symptoms until the damage is significant, it’s important to schedule routine checkups with an ophthalmologist. To diagnose this condition, he will perform a comprehensive eye exam to check your peripheral vision, measure your eye pressure, measure your cornea’s thickness, examine your eye’s drainage angle, and measure or image your optic nerve. If your optic nerve has already suffered damage due to glaucoma, then this cannot be reversed. However, your ophthalmologist may recommend laser surgery, medication, or glaucoma surgery to help slow the progression of the disease and preserve your remaining eyesight.